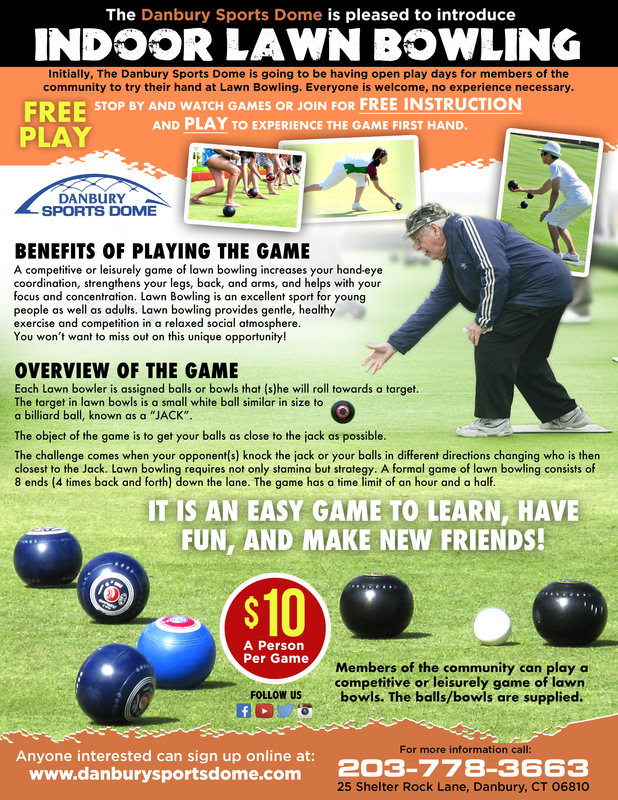 to Reserve Space for Your Game of Lawn Bowls Today! IN THE FUTURE, JERRY DEJULIA, LAWN BOWLING DIRECTOR, PLANS TO FORM A LAWN BOWL LEAGUE WITH TEAMS OF THREE. THE TEAMS MAY BE MALE, FEMALE, OR COED. WATCH FOR SIGN UP. SIXTEEN TEAMS WILL BE ALLOWED TO PLAY IN THE LEAGUE ON 8 LANES. THREE PLAYERS PER TEAM LEAD-VICE-SKIP. THE LEAGUE WILL BE PLAYED ON SATURDAY AFTERNOONS AND EVENINGS. IF ENOUGH WOMEN ARE INTERESTED TO HAVE THEIR OWN LEAGUE, TWO LEAGUES MAY BE FORMED. IF YOU LIKE EXERCISE, PLAN ON WALKING 240 YARDS A GAME!